Home burglaries occur all too often, and a significant number of those happen through the garage door. 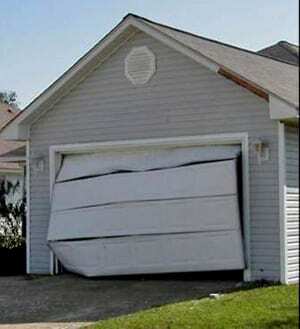 Homeowners believe that their garage door is secure. After all, the door is big and heavy, and without the door opener, it should be impossible to open, right? With this false sense of security, homeowners may even leave the inside garage door unlocked or if it is locked, there is no deadbolt. The sad reality is that garage door break-ins are common. The professionals here at Action Garage Door know a trick that can keep your family safe. Why Do Garage Doors Have Emergency Release Cords? The emergency release cord is there in case of a power outage. If there is no power, the automatic opener won’t operate when you push the buttons on your opener. The emergency release hangs from the mounted overhead opener. Simply pull down on that cord; the door will release from the carriage and you will be able to open and close the door manually. Within just a few seconds, a burglar get use a wire hanger to access the safety release in order to open the door manually. There are a few methods you can use to prevent garage door break-ins. You might extend the reach of your home security to cover the garage. You can also add a deadbolt to the interior garage door and make sure that it gets locked. However, one easy solution is to thread a zip tie through the emergency release latch. Use a tie that is strong enough to resist tampering with a wire hanger, but one that you would be able to break if a power outage occurs. Most adults, pulling down on the safety cord, should have enough force to easily snap the zip tie. Contact Action Garage Door for all your garage door questions. We will repair your door or help you to prevent garage door break-ins. Call us today at one of these numbers: Dallas 972-299-8980, Fort Worth 817-633-3119, Austin 512-213-4905, San Antonio 210-762-5331, or Houston 713-766-3422.